Coffee is a passion of mine. I drink it regardless of the season. When I want to treat myself to something special, I enjoy a cup of the flavored variety. I recently had the opportunity to test flavored syrups from Torani that delivered coffeehouse taste that you can make at home. 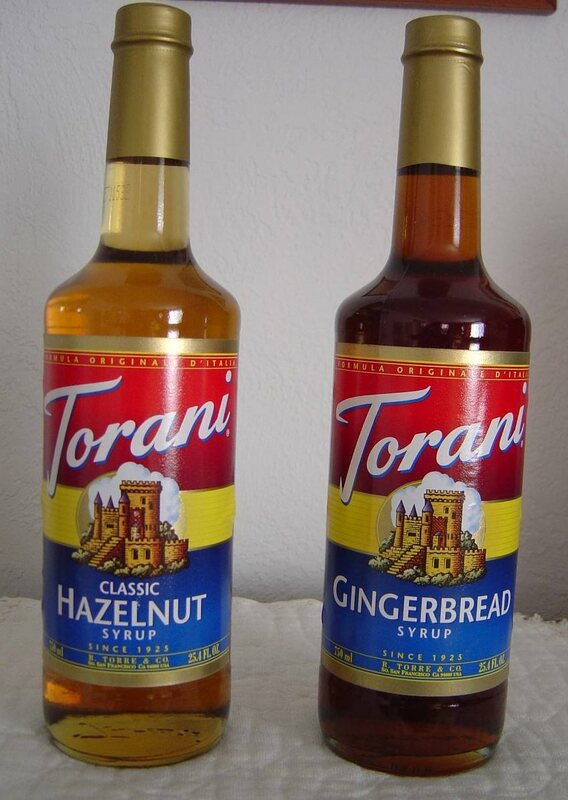 I was sent two types to try: the Torani Hazelnut Flavored Syrup and a bottle of the Gingersnap Flavored Syrup. My first impression as I indulged in a cup of coffee with some Hazelnut Flavored Syrup was pure heaven. What I liked was that I didn’t have to use a lot to get that fantastic sweet mixture of cream and hazelnut. In my opinion, the sweetness was just right without adding additional sugar. However, my guy has a giant sweet tooth and did add two packets of sweetener to his. The Gingersnap Flavored Syrup when added to a cup of coffee was like drinking liquid gingerbread cookies! This was delicious with cinnamon and molasses also and was just as good to me as a commercial cup in a coffee shop. Frankly, I do not know which of the two was my favorite. Both varieties of these flavored syrups were superb in my coffee. I would love to try more of the other flavors that Torani sells because they were excellent when you need something sweet and a delicious. Why would you want to spend so much money on drinking a cup of fancy flavored coffee out when you have all these Torani flavored syrups to transform plain coffee into fancy coffee? Another thing I want to try with my syrups are over some ice cream for an extra special dessert. Visit Torani and check out their online store here out!